that invests in your future. Whether you're brand new to Google Analytics or looking for a refresher on the basics, Analytics 101 is the Training Program for you. In this course, we focus on providing you with a broad introduction to all of the reports – and more importantly, the insights – that Google Analytics can generate. We'll show you how to understand who your visitors are, how they got to your site, what they did while they were there, and how valuable they really are. Even if you've never used the program before, this Google Analytics training will leave you knowing more than enough to be dangerous. Google Analytics 101 is an overview Training Program that will guide you through learning the user interface, understanding the various types of reports that are available, and how to find actionable insights in your data. While we don't assume you'll have any prior experience with the program, it's a good idea to at least create your account before attending the Google Analytics course. Here’s what we'll cover. The dozens of reports Google Analytics provides you "out of the box"
Google Analytics 201 goes much deeper than the 101 course, exposing you to advanced features and analysis techniques. You'll learn how to use powerful tools like Advanced Segments and Multi-Channel Funnels, while seeing real-world analysis techniques you can apply to your SEO efforts, your SEM campaigns, and much more. By the time you walk out of this Google Analytics Training Program, you'll be a budding Analytics ninja – not just a report squirrel. How to measure every marketing effort your organization is making – whether online or offline. Analysis techniques you can use to immediately start improving the performance of your SEO program, your SEM campaigns, and any other marketing campaigns you’re measuring. How to measure the impact of social media outlets like Facebook, Twitter, and Google+. The final course in the Analytics series is focused on implementing Google Analytics and configuring it to fit your organization's needs. If you want to learn how to use and customize the Google Analytics tracking code, how to track advanced elements like Flash or AJAX, how to launch A/B tests on your website, and how to push Google Analytics to its limits, this is the analytics Training Program for you. Our Google Analytics Training Program, powered by Cardinal Path, are intended to help you create, manage, and maximize the return on your investment from your online marketing initiatives. Our Training Program Leaders are all active Analytics Experts who would help you in understanding the platform well. In this interaction, questions and engagement with Training Program Leaders is actively encouraged. You'll not only get access to the best case studies and optimization tips, but also learn to analyse and accelerate the performance of your online marketing initiatives by effectively implementing Analytics. 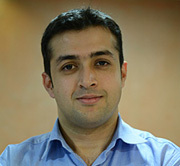 Gaurav is the Founder and CEO at Digital Academy. Widely acknowledged as a subject matter expert on Pay-per-Click Marketing and Web Analytics, Gaurav brings real-time insights and experiences to his lectures. As Vice President – Business Operations at Pensa Media, he has a vast experience on strategizing and executing online marketing campaigns for a variety of customers from myriad of industries. He is also the Regional Trainer & Speaker for Google's Partner Academy Program in India. Besides, Gaurav coaches and consults companies on Conversion Rate Optimization. 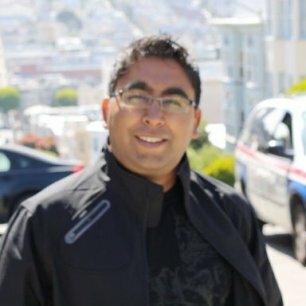 Gaurav is also a Member of the International Executive Council of the Internet Marketing Association (IMA), which is one of the fastest growing Internet Marketing groups in the world. Dikdyuti Sen (DK) is a marketing professional with 8 years of Digital Marketing experience. Prior to joining Groupon, DK was with Google for close to 7 years where he consulted businesses on using Google AdWords and Analytics more effectively. He also led Google Analytics and Google Tag Manager product support in the APAC, region. He has a very strong understanding of how online and offline marketing channels are inseparable, and work in close conjunction with each other. He has worked with some of the key players in the Indian Online space - Cleartrip, Jet Airways, Myntra, Shoppers Stop and ICICI Bank, to name a few. His forte is Web Analytics - starting from implementation all the way to making sense of the numbers to help drive the business! When not playing the "Web Analytics Ninja", DK is a self-taught musician, and a happy couch potato! All 3 Analytics Modules put together provide a great overall view of the capabilities of Google Analytics and provide individuals with Google Analytics Certification training. This course will accelerate your ability to manage and optimize campaigns and make better online business decisions. Join us and let our experts help you get the most out of your online marketing efforts. * Early Bird Pricing: Save 10% if you sign up four weeks or more prior to course commencement. Should I bring my laptop for the workshop? Yes, please bring a laptop to your classes so you can follow along on your own AdWords and Analytics account on some of the demonstrations. Power outlets will be available. Is there anything I need to do to prepare for my class(es)? In order to get the most out of your class(es), we recommend you spend a little time familiarizing yourself with the AdWords and Analytics interface. Please ensure you have Admin access to an AdWords account. If you don't have one yet, you can easily set one up to use for your class navigation. You also should also have AdWords Editor installed. Will I be Google certified after the class? Will I write the exam during the class? Our courses are intended to give you the foundation to become an Analytics Ninja! They are designed to give you enough knowledge, with expert Instructors that you will be able to use the tools and write the exams. While these courses will certainly get you most of the way there, you won't be Google Analytics Certified simply by virtue of having taken our courses. We do not administer the Google exams. In order to get certified, you will need to take a series of tests, provided by Google and we advise that you review the study materials provided by Google in advance of the test. We will do everything we can to help you learn, but we cannot guarantee that you will pass the exams as this depends on your abilities, comprehension and level of understanding of the tools. We do provide Certificates of Participation, co-signed by Digital Academy and Cardinal Path at the end of your training days. If you did not find your question answered in the FAQ list above, please don't hesitate to contact us at: hello@digitalacademyindia.com and we will respond within one business day. Save 10% when you sign up early! Copyright © 2015 Digital Academy India. All rights reserved.